Hi all! 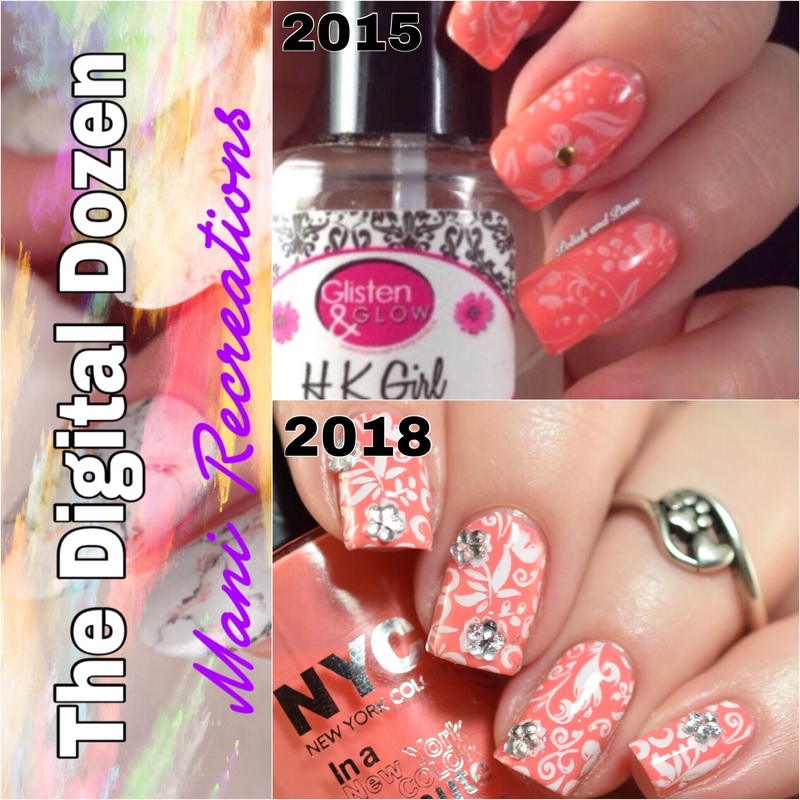 I hope you have been enjoying this weeks Digital Dozen theme. Today is the last day, and as you may already know I had 2 bad breaks last week so this final mani is done on my shorties. I struggled choosing which mani to do, as the one I had originally picked out just was not a short nail friendly design. This one looks good on short nails too though. 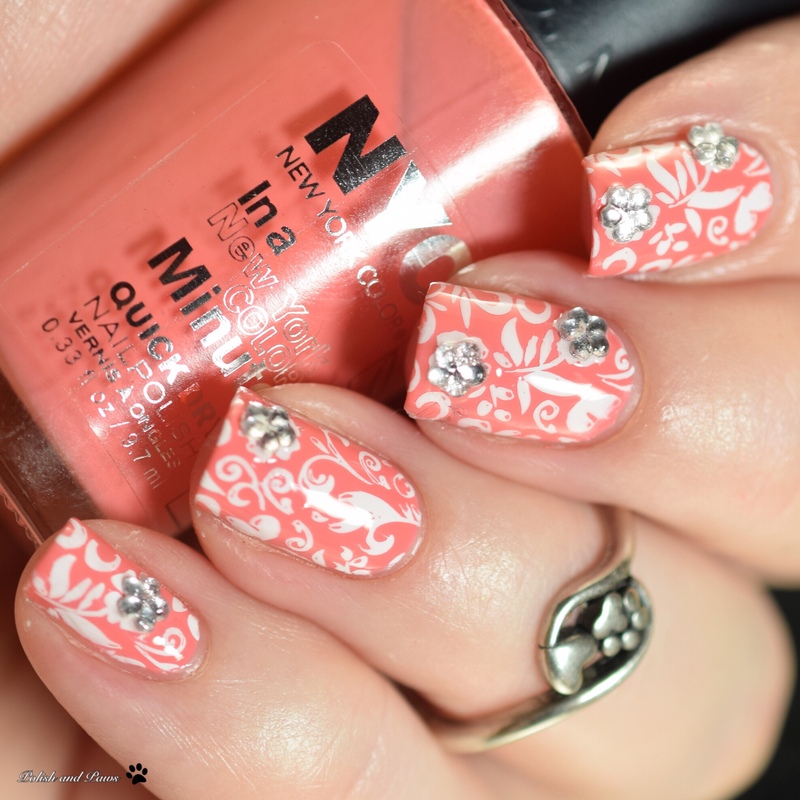 This mani was originally done in September 2014 (so yeah my image is wrong but thats okay.) You can check out the original post at the link below. 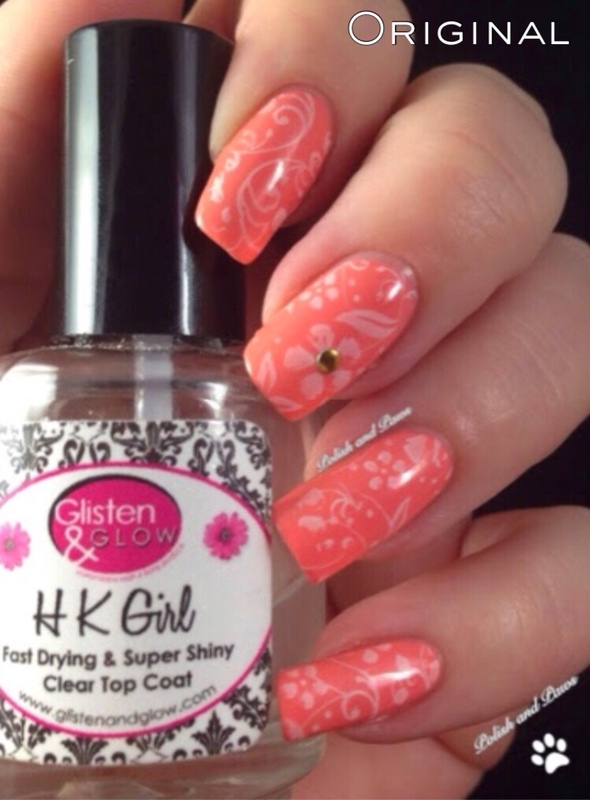 I still had the original polish I used for this, which is still an amazing peachy orange, NYC Peaches N’ Cream! The main differences in the two is the opacity and quality of the white stamping. So despite using the same polish, same type of image, and same concept these look quite different. 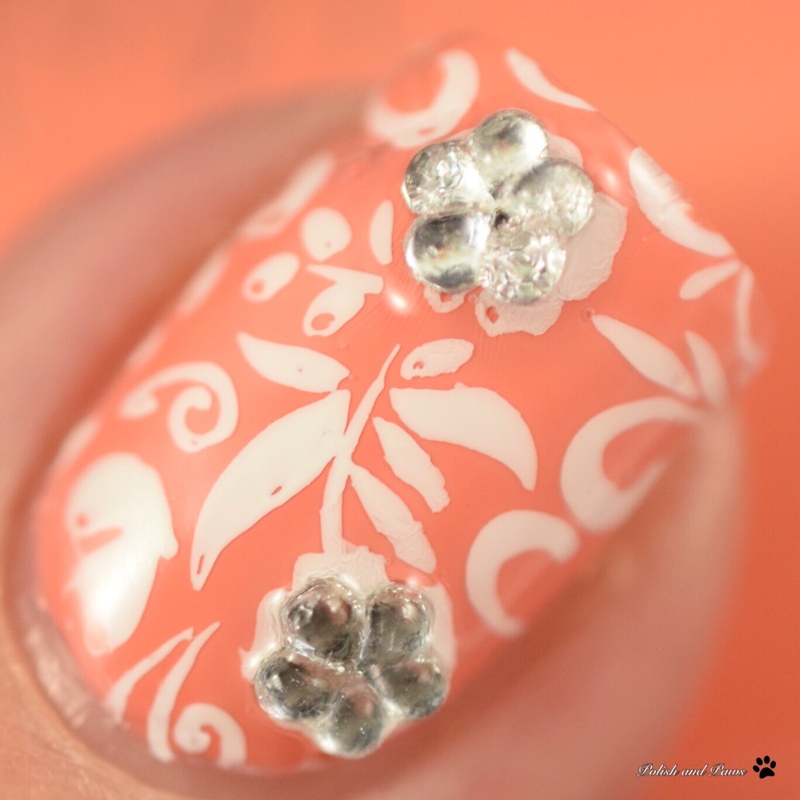 It really shows how much a stamping image can change a mani. Well that and the stamping polish actually being opaque and the image fully transferring made a big difference too! 🙂 Do you prefer one over the other? I have to say that despite my shorty nails I like the recreation the best. Hope you liked this week of mani recreations. Next months theme is a surprise, but you’re gonna love it! Be sure to check out the link up below to see what the other ladies did for our final day today. Loved seeing you everyones manis changed over the years! Wow, these are beautiful! I love that peachy color! The touch of rhinestones is perfect! 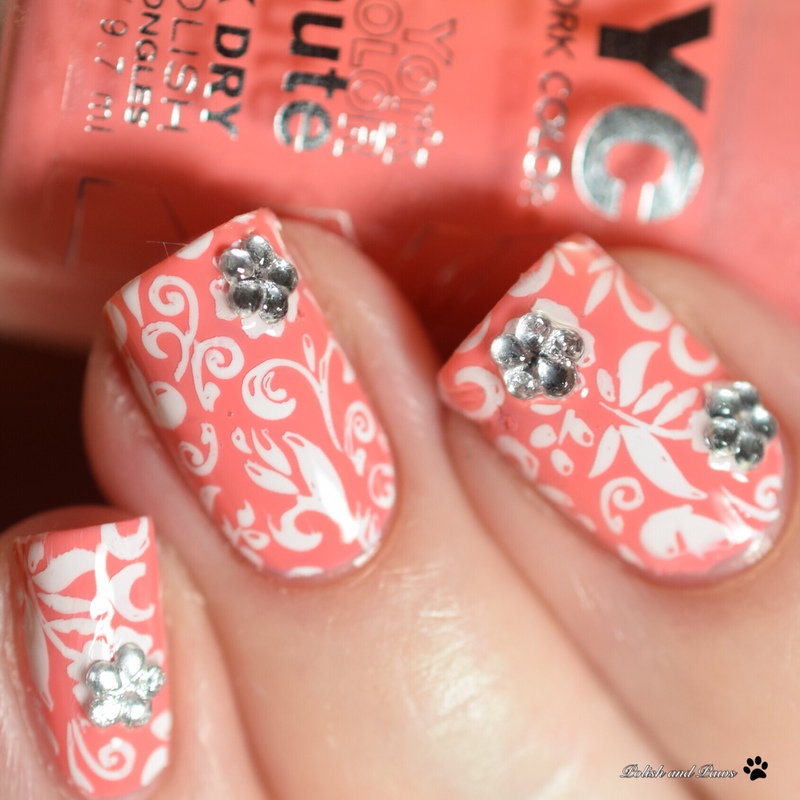 I like the bolder stamping on your new one!